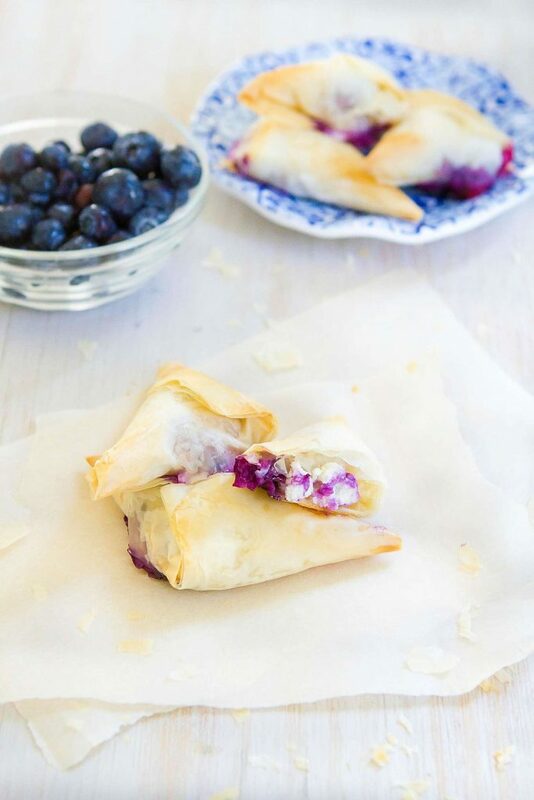 These 4-ingredients blueberry goat cheese phyllo turnovers make the most irresistibly flaky and delicious desserts or appetizers.Thank you to Athens Foods for helping me share this recipe with you. Considering that I don’t post dessert recipes here very often and that I am a sucker for a really good savory dish, it only makes sense that the first dessert that I am posting in the last six months is one that could be served either as a dessert or an appetizer. Most of you probably don’t know this, but I used to spend hour upon hour baking and decorating fancy cakes for friends, family and even the occasional paying customer. Perhaps it’s because of those many hours spent elbow deep in chocolate cake and buttercream, or the fact that I cut way back on sugar when I lost 30 pounds, but I just don’t get the craving for sweet nothings as much as I used to. 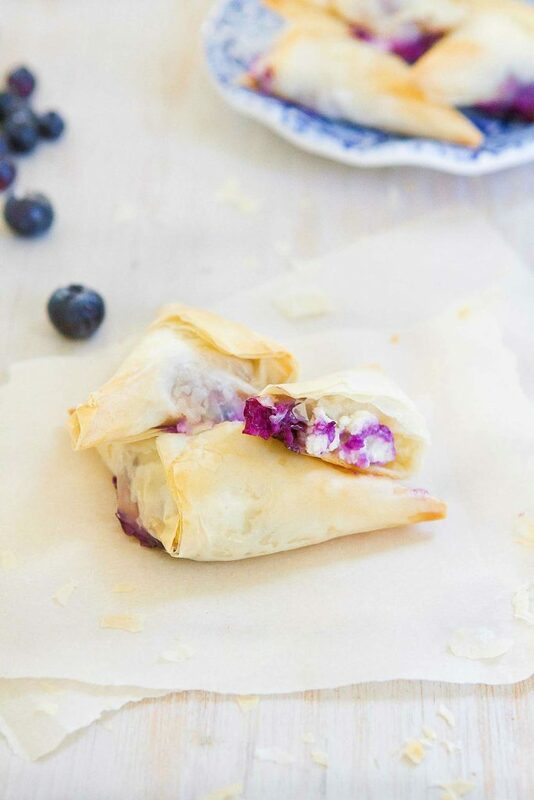 The beauty of these blueberry goat cheese phyllo turnovers is that they have the delightful tang of creamy goat cheese along with the subtle sweetness of fresh blueberries and a drizzle of honey, making them equally suitable for the dessert or appetizer table. Those four ingredients – blueberries, phyllo dough, goat cheese and honey – are all that’s needed to make these light and crispy handheld turnovers. If you are regular visitor here, you know what a fan I am of the Athens Mini Fillo Shells. Over the past few years, I’ve made more appetizers with them than I can count, plus the occasional dessert. As easy as it is to whip up quick offerings with those Mini Fillo Shells, I also love working with the Athens Mini Fillo Shells to make dishes such as my lightened-up meat pie (tourtiere), and appetizer and dessert turnovers. Whenever I’m running low on phyllo sheets, I pop into the frozen food section of my local grocery store to buy a couple of boxes to have on hand. Each box contains two rolls of phyllo sheets. 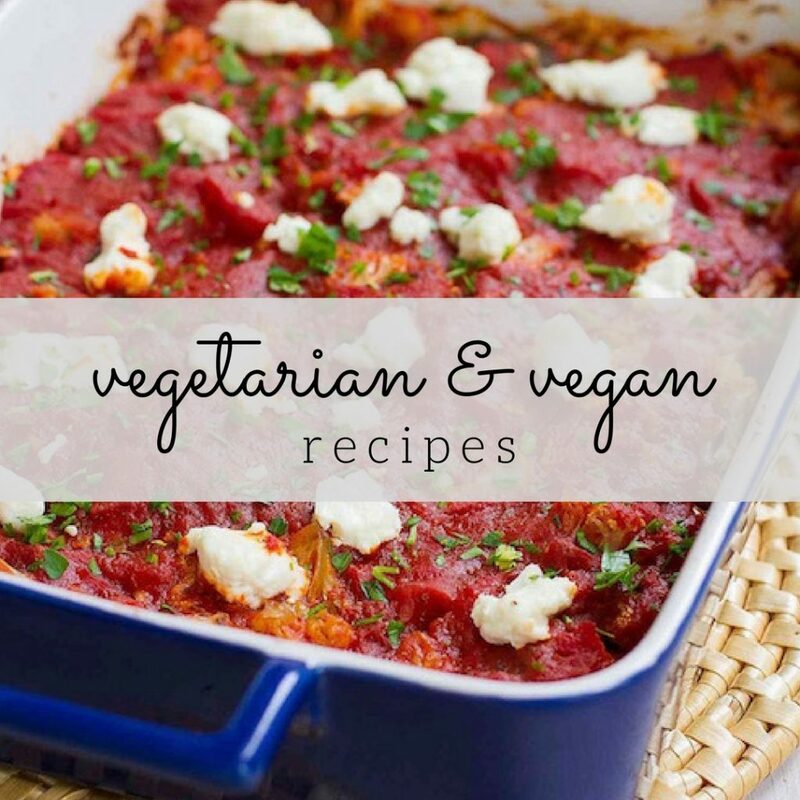 I just used one for this recipe, so took that one out to defrost about an hour before I needed it and put the other one back into the freezer for a later time. The key to working with phyllo is to make sure that it doesn’t dry out while you are assembling the turnovers. Place the sheets on a baking sheet and cover them with a slightly damp kitchen towel. The towel should not be too wet otherwise the phyllo dough will become soggy. Just a light sprinkling or spray of water on the towel will do. 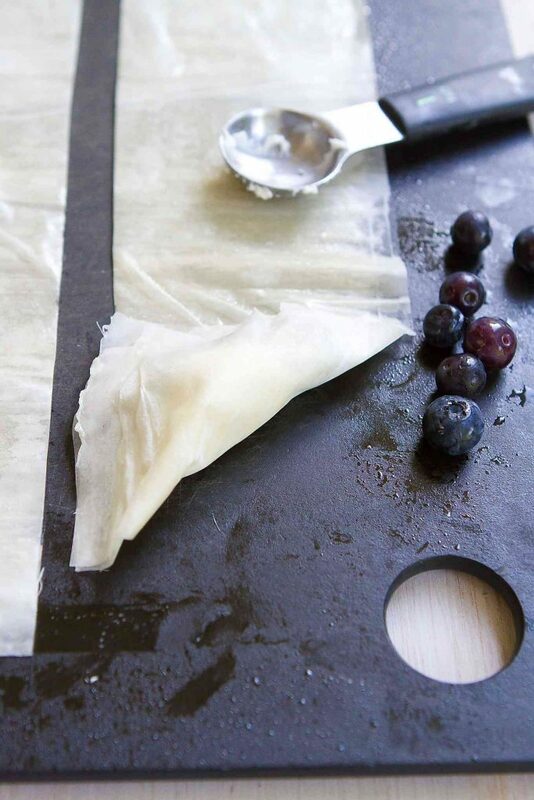 Once you get the hang of making these blueberry goat cheese phyllo turnovers, you’ll be able to assemble them in a flash. Take a look at the photos I’ve provided to see how to form the first triangle over the filling. From there, just keep folding the dough into triangles until you reach the end of the strip. The turnovers can be eaten at room temperature, but are best when a little warm so that the goat cheese is still a little melty and creamy. Some of the filling may ooze out onto the baking sheet in the last couple of minutes of cooking. No big deal! They’ll stay look and taste just as addictively delicious. 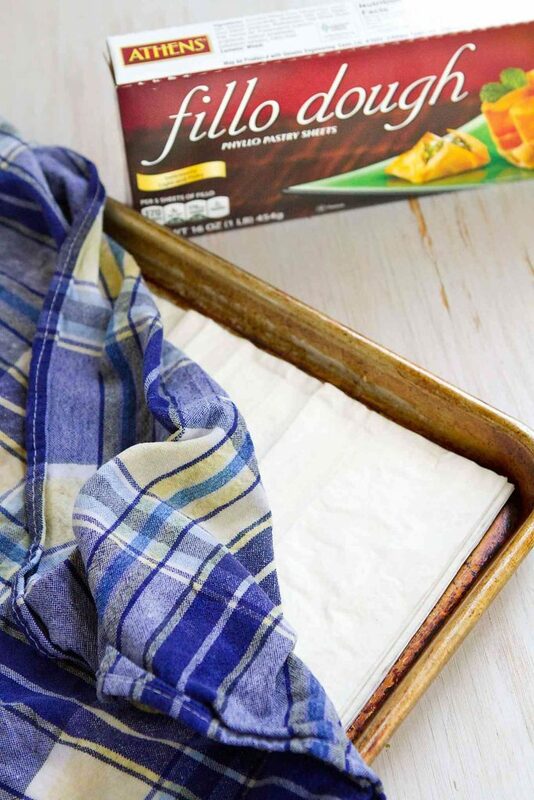 Unroll the defrosted fillo dough and place it under a slightly damp kitchen towel to stop the dough from drying out. Cover whenever the dough is not in use. 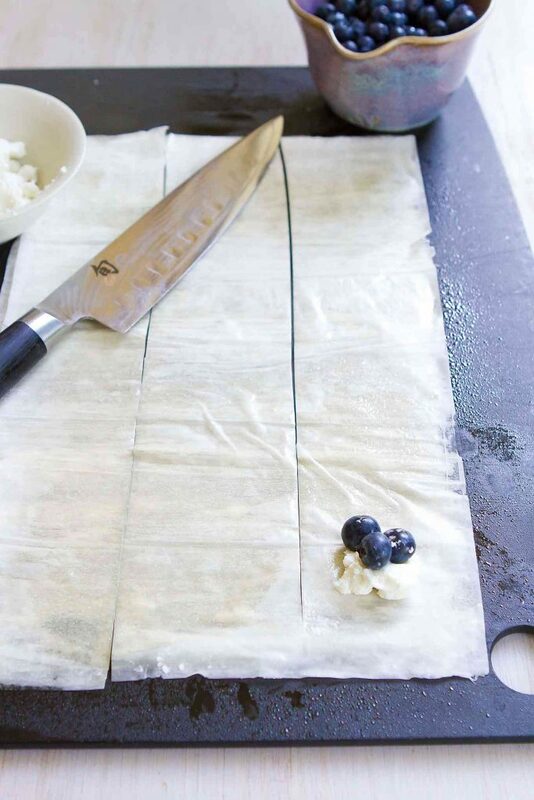 Lay 1 sheet of the fillo on a large cutting board. Lightly coat with cooking spray. Top with another sheet of fillo dough, coat with with cooking spray and repeat one more layer of fillo dough and cooking spray. Cut the dough lengthwise in thirds. Place 1 teaspoon of goat cheese, 3 to 4 blueberries and ¼ teaspoon of honey about one inch from the bottom of once section of dough. Fold the dough over top of the filling to form a triangle. Continue to fold, maintaining the triangle shape until the end of the dough is reached. Repeat with the other two strips of dough. Place on an ungreased baking sheet. Repeat with the remaining dough, goat cheese, blueberries and honey. Bake until the turnovers are golden brown, 12 to 15 minutes. Serve. These are gorgeous and I am loving the sound of a blueberry/goat cheese combo! 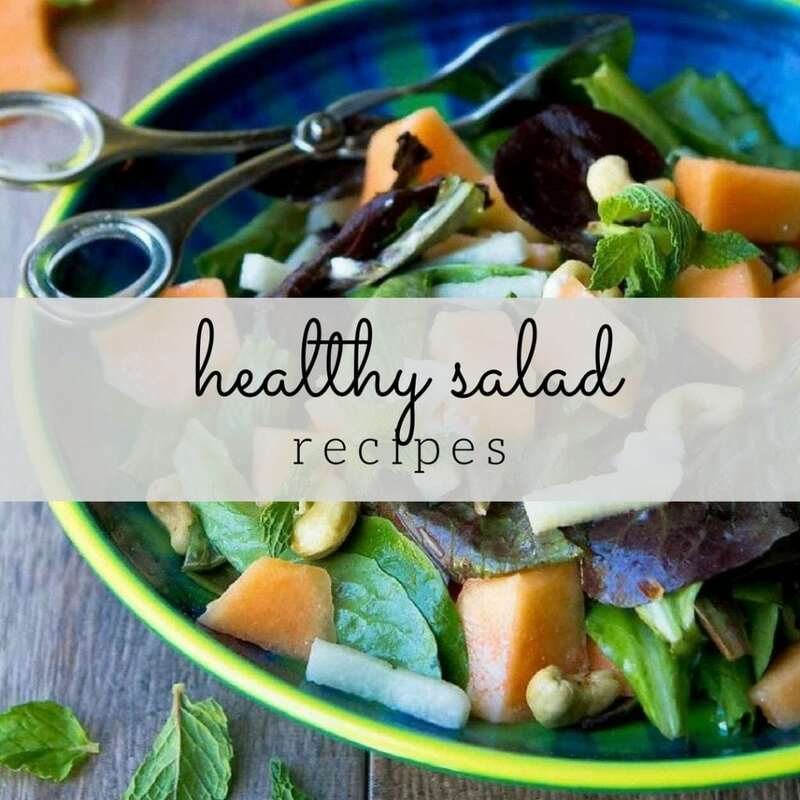 The sweet/savory combo is one of my favorites! Wow! Love this. Looks like flowers! I am goat cheese OBSESSED! 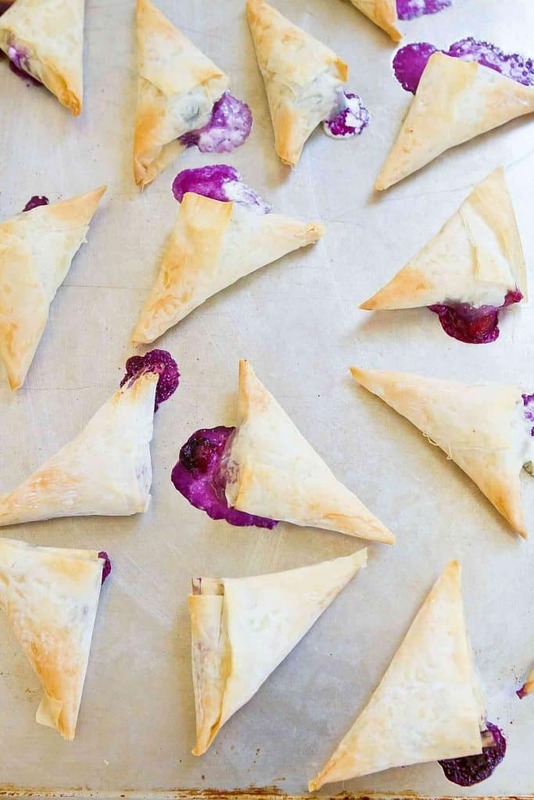 Love these little turnovers with their bursts of blueberry! Right?! Everything is better with goat cheese, and it’s particularly good with the flaky phyllo dough. I love that this could be a dessert OR an appetizer! I have a feeling my husband is going to ADORE the sweet-savoriness of these turnovers! Blending sweet and savory is one of my favorite things to do in both appetizers and desserts! 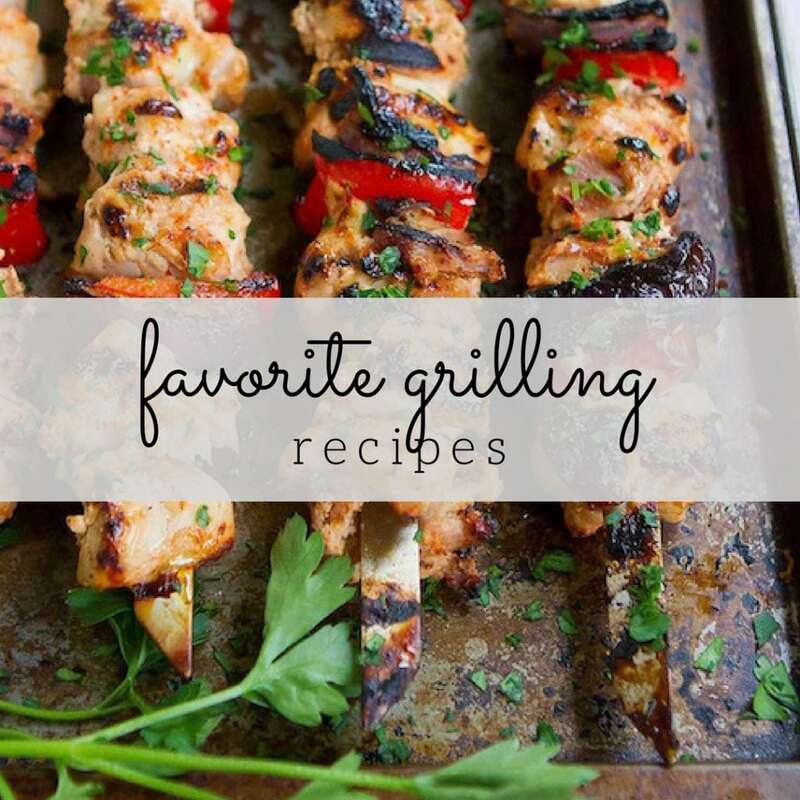 The BEST 4 ingredients in one delicious bite! Thank you, Cathy! I’m going to be making these over and over again. What a marvelous flavor combo, yum! I am loving these!! The flavors are amaaazing!! I can’t wait to try these gems!! Oh my, yes please! How gorgeous as a little appetizer or sweet treat. I agree, once you aren’t eating sugar that much, you really lose your taste for overly sweet thing. These could not be more adorable!! And I bet they are so delicious!! I could eat this blueberry goat cheese perfection all day every day! The color of these is stunning and I love how simple they are!